Angry words continue to fly as the possibility of repairing Manitoba's northernmost rail line before winter fades. Leaders from several northern First Nations took aim at the federal government Wednesday, saying Ottawa is getting in the way of a solution. Angry words continue to fly as the possibility of repairing Manitoba's northernmost rail line before winter fades. Leaders from several northern First Nations took aim at the federal government at a news conference on Wednesday, saying Ottawa is getting in the way of a solution. Last week federal Natural Resources Minister Jim Carr announced Ottawa would sue Denver-based railroad owner Omnitrax unless the line to Churchill was repaired in 30 days. The company has said repeatedly it can't afford to pay for the repairs, while the federal government says Omnitrax has "an obligation" to do the work. 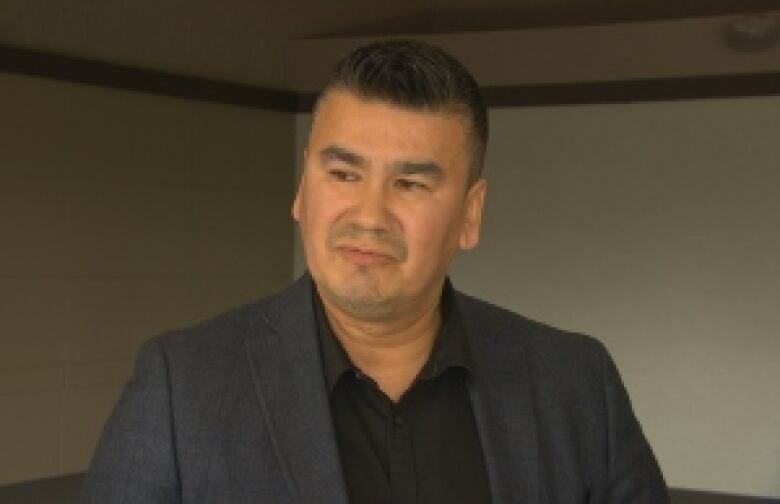 Assembly of Manitoba Chiefs Grand Chief Arlen Dumas said that won't help matters and there is "extreme frustration" about not finding a resolution. "To throw this lawsuit into the mix, really, to me, kind of throws me off and goes, well, why did you ask us to do all these things if this was going to be your end result? And if you were going to do the lawsuit, why didn't you do it three months ago?" he said. 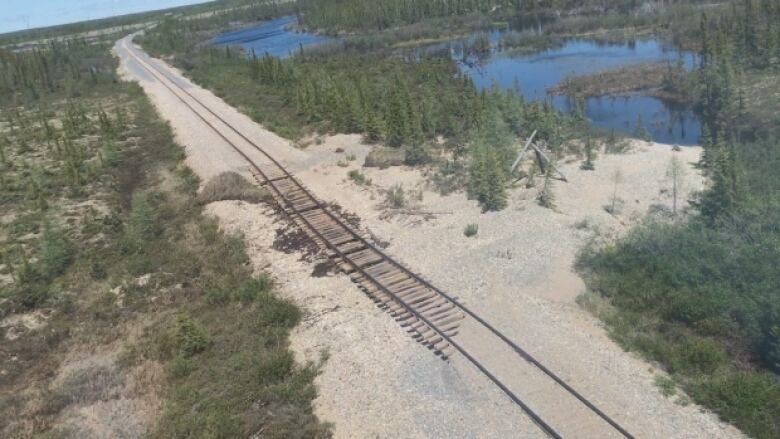 Dumas also picked up on a theme raised by Omnitrax Canada president Merv Tweed on Tuesday, suggesting the federal government was using the damaged rail line as a way to force northern communities into accepting air service as the only means of supply and transportation. "There is almost a message being sent that everybody's going to have to get used to being fly-in communities, and that is not acceptable, that is negligent and we are not going to stand by that," Dumas said. 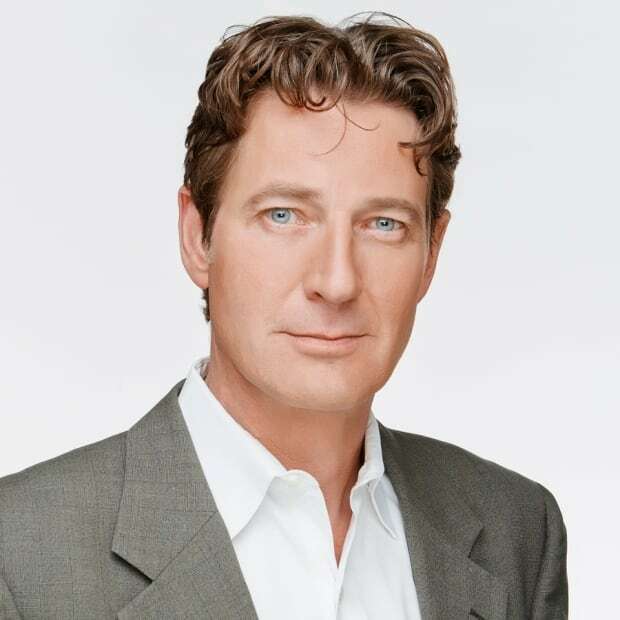 When asked whether he would support the federal government nationalizing the port and rail line and stepping in to repair the damage immediately, Dumas said he would not. That wouldn't recognize the potential in having northern communities own and operate the rail line themselves, he said. "Unfortunately everybody seems to be focused on today, and we would like to look forward to tomorrow and what the future brings for these assets," Dumas said. Dumas also said he wouldn't support the federal government taking immediate action by seeking an injunction or other legal mechanism to appoint a contractor to fix the line. Missinippi Rail has a memorandum of understanding with Omnitrax to purchase the rail line, port and other assets for $20 million. Dumas stepped down from a role with Missinnipi last month. Missinippi and another group called One North (acting on behalf of other northern communities, including the town of Churchill) have an agreement to work together to buy Omnitrax's assets in Manitoba and operate them once a deal can be completed. Some leaders at the news conference Wednesday wanted to remind Manitobans that the absence of rail service was taking not only a financial toll on northerners, but a mental one as well. York Factory Chief Ted Bland said people have lost incomes, feel isolated and now can't see what the future has for them. Ottawa needs to move faster and the government of Manitoba needs to show a lot more interest in the issue than it has so far, Bland said. "The provincial government, to me, they've been very quiet. They haven't been to the table with us. That's my thoughts on that. Where are they? Why aren't they at the table more?" A spokesperson for federal Transportation Minister Marc Garneau responded to the concerns raised by the First Nations leaders, saying the federal government "is committed to restoring rail service to the town of Churchill." The statement also defends Ottawa's decision to threaten a lawsuit saying "as Omnitrax has failed to fulfill their legal obligations for several months, it was incumbent on the federal government to take further action and issue a 30 day deadline." A previous version of this story stated that Arlen Dumas is a representative of Missinippi Rail. 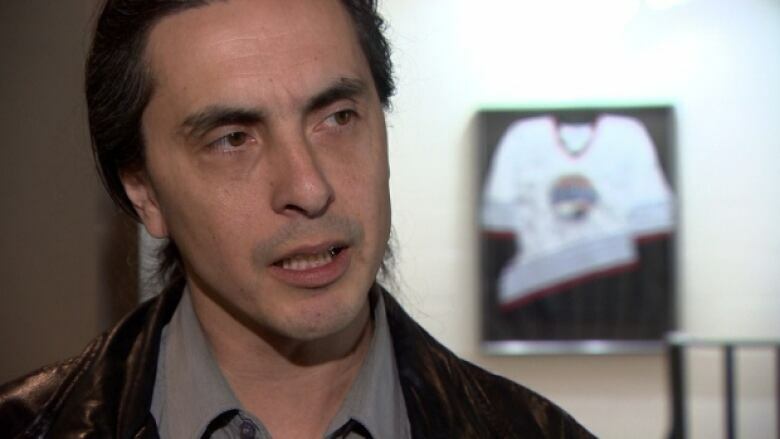 A spokesperson for Dumas, who is now grand chief of the Assembly of Manitoba Chiefs, said he resigned from that role a month ago.